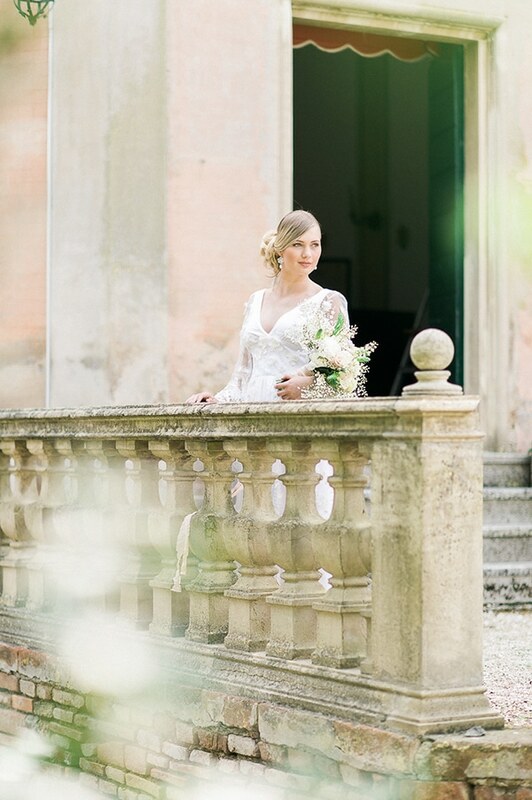 Gorgeous venue, check. 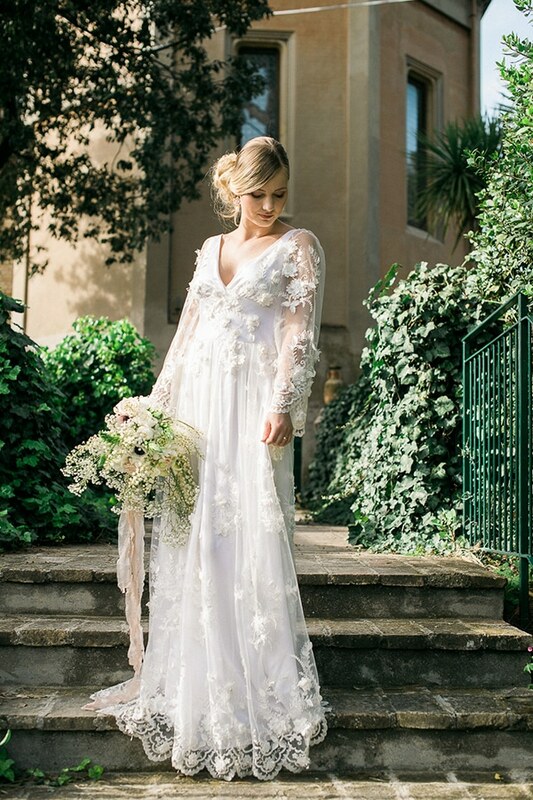 Stunning wedding dress, check. 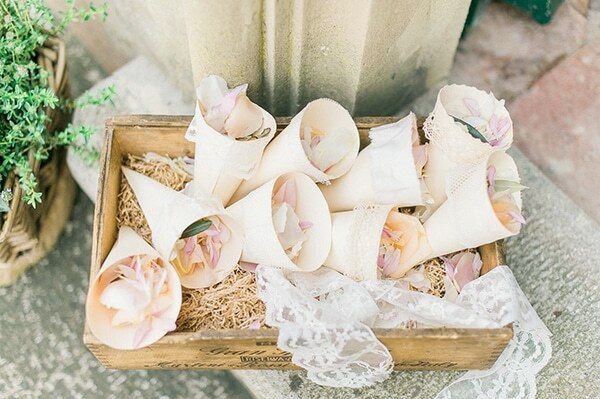 Incredible vendor team, check! 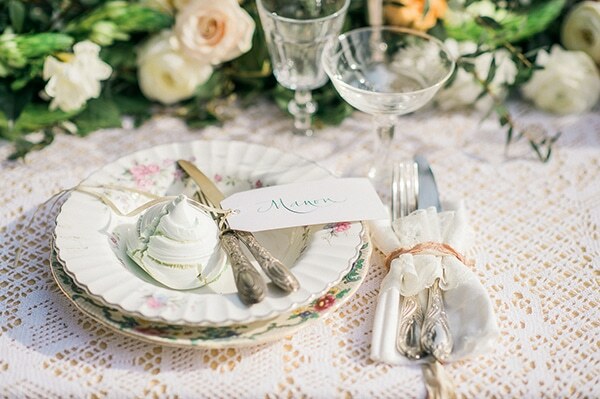 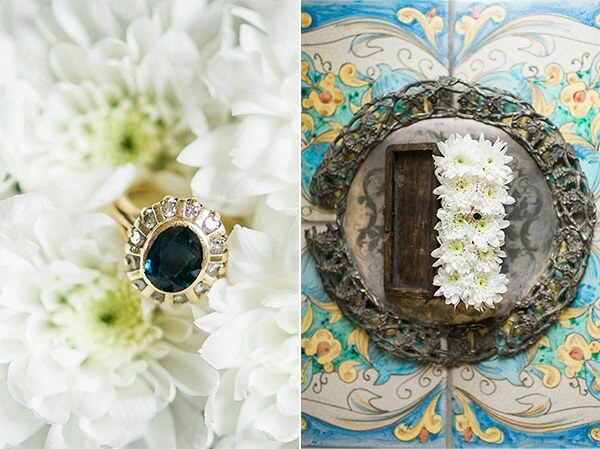 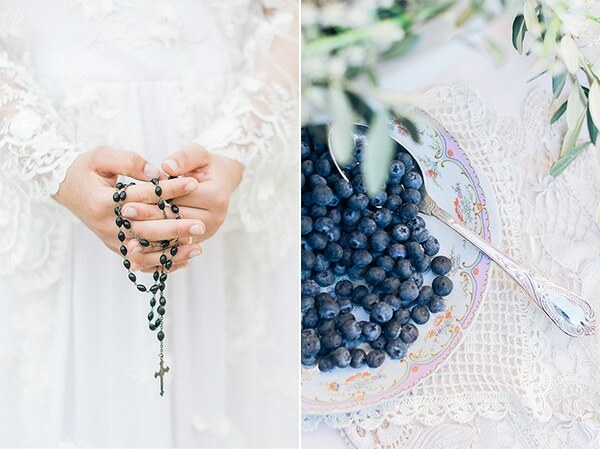 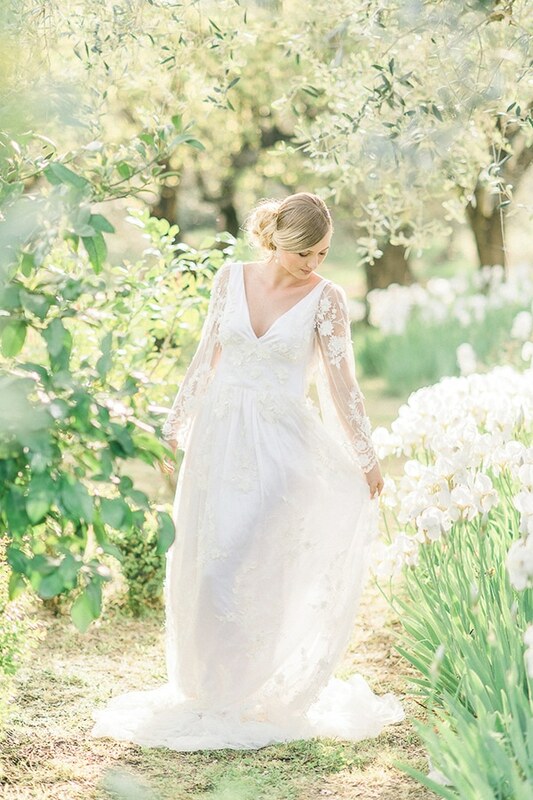 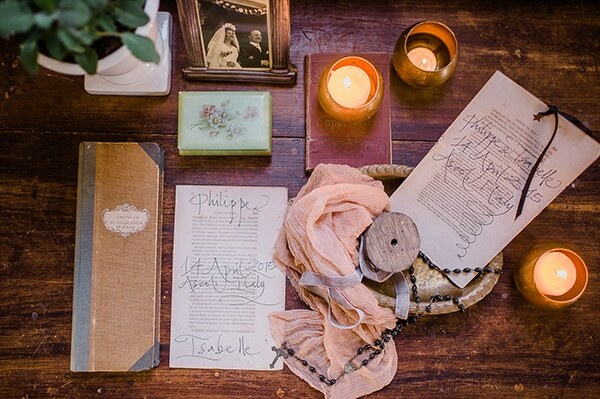 Today’s wedding inspiration styled shoot is so next level! 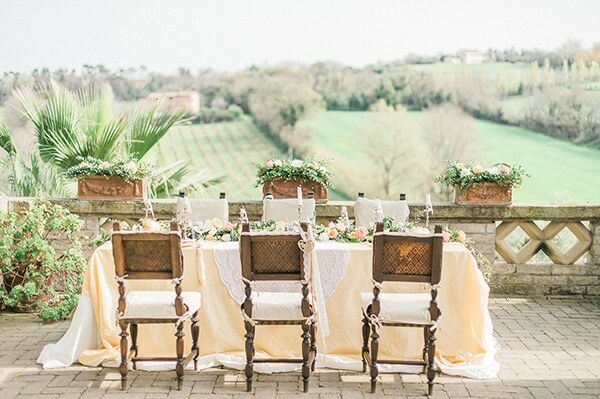 It’s well known that Italy is one of the most preferable wedding destinations because of its beauty and strong religious beliefs so this shoot’s aim was to highlight all these details that are part of Italian tradition. 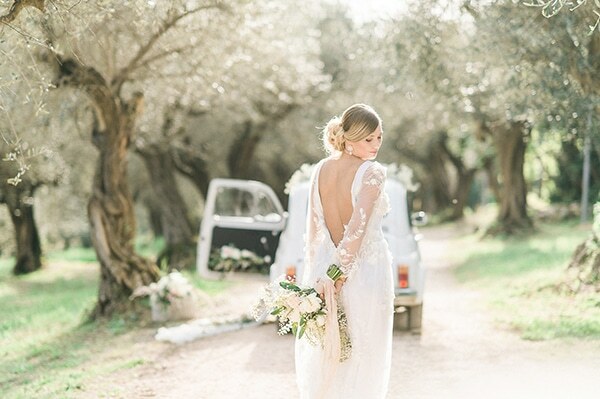 A gorgeous bride in her stunning wedding dress and veil who is praying before the marriage is the main character of this unique concept. 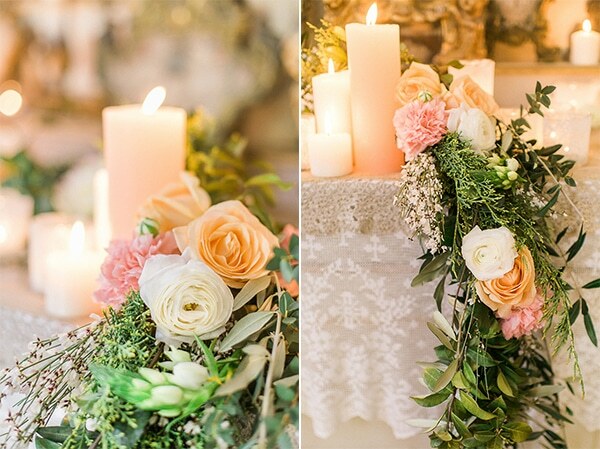 An impressive table setting with a floral garland, candles and embroidered fabrics adorned the venue and adds more beauty. 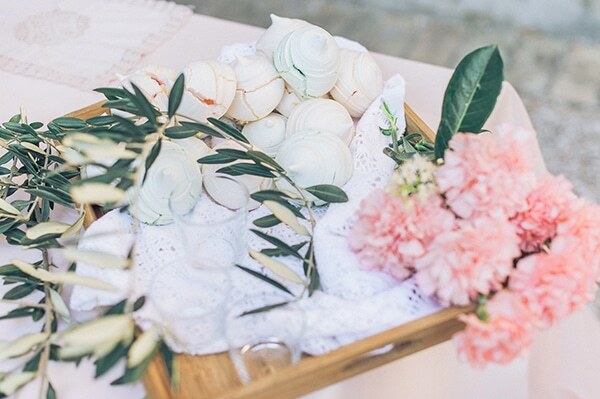 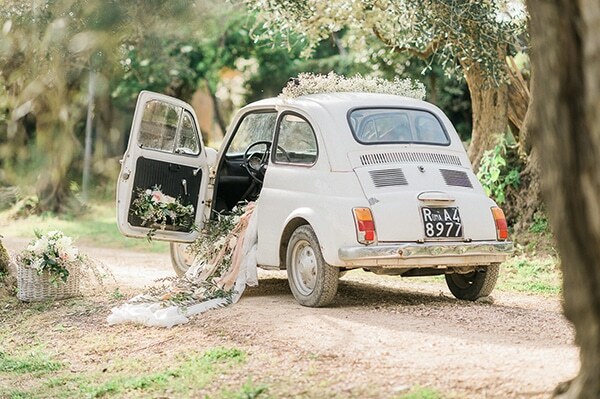 What to say about the delicious sweets and the cute, little vintage car… Love! 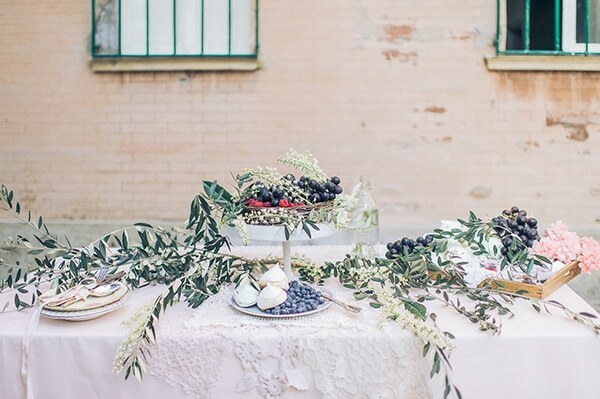 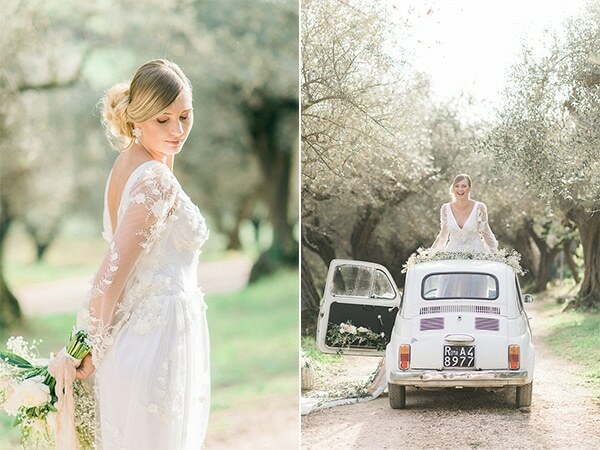 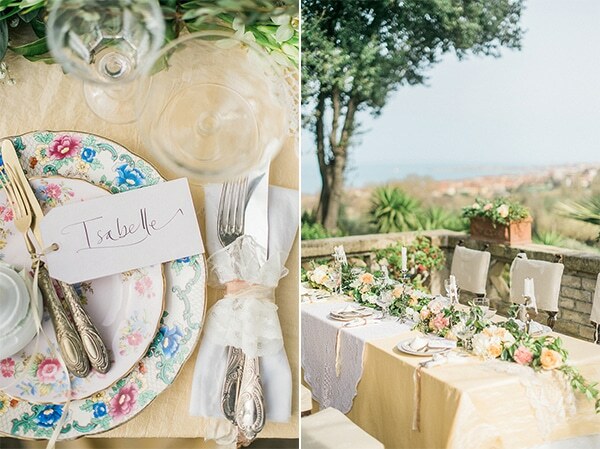 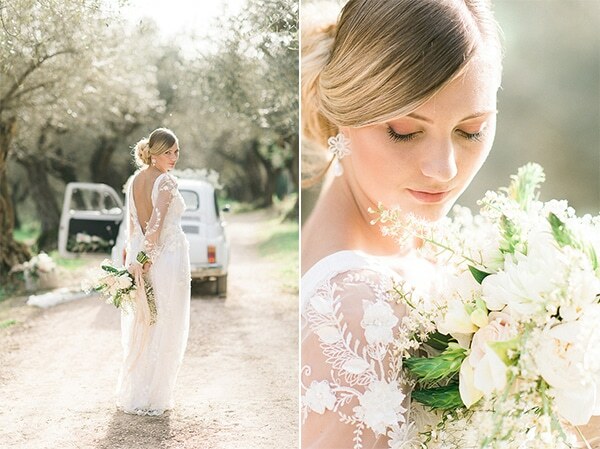 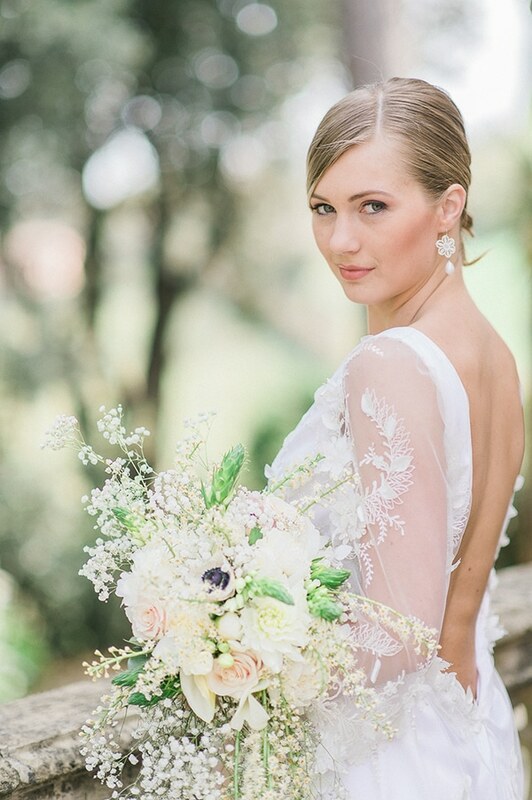 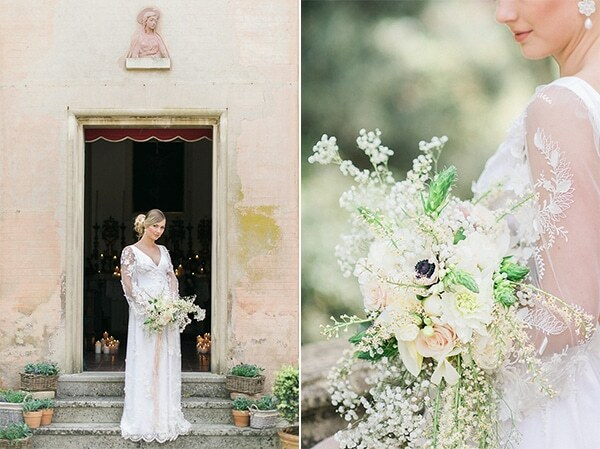 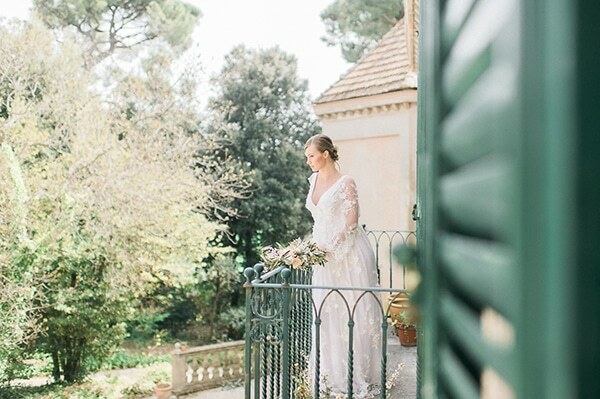 From the stylist Il Matrimonio Italiano: “When I wanted to style this shoot, I knew that I wanted to bring out the strong and beautiful details of a typical Italian traditional wedding. 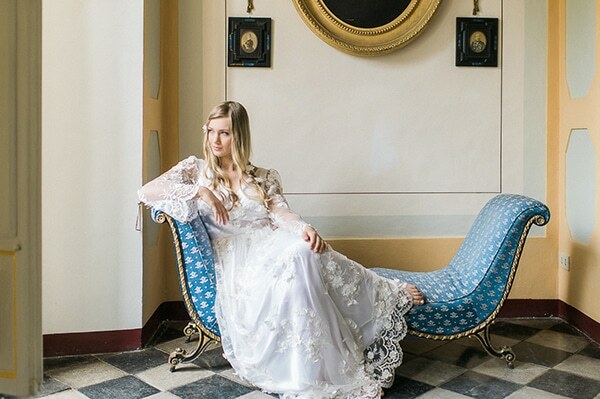 I love to keep tradition high by showing some strong accents in its pure way and then combining it with soft and elegant surroundings and materials. 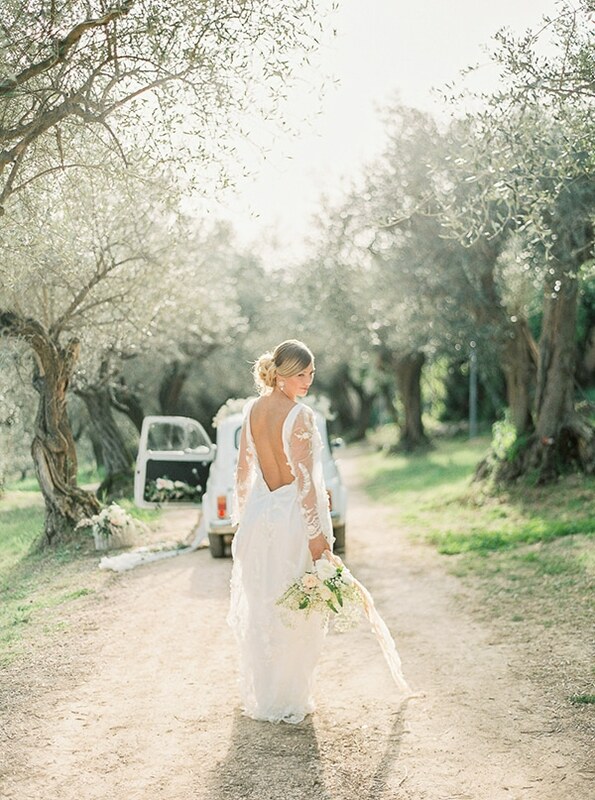 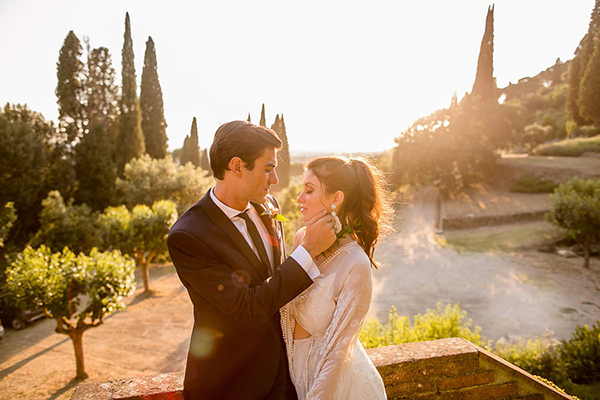 Italy is well known for its’ drama and strong religious beliefs and that is what makes a wedding in Italy so pretty and swoon to remember for. 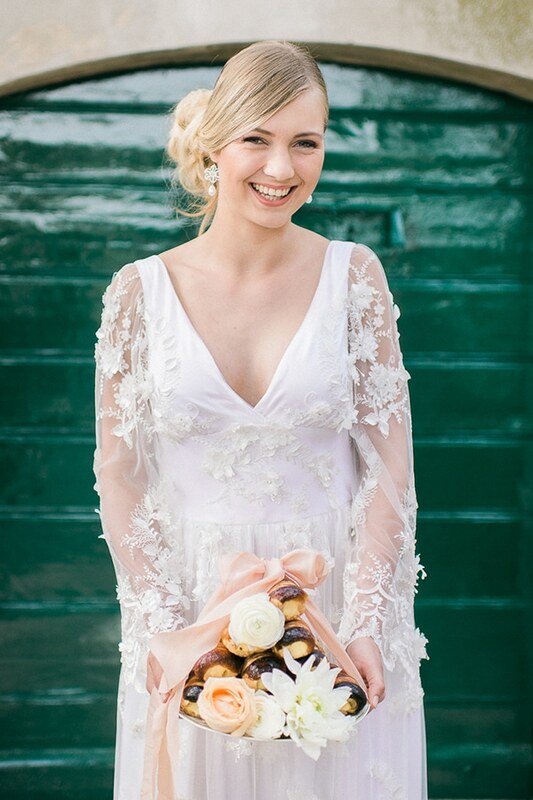 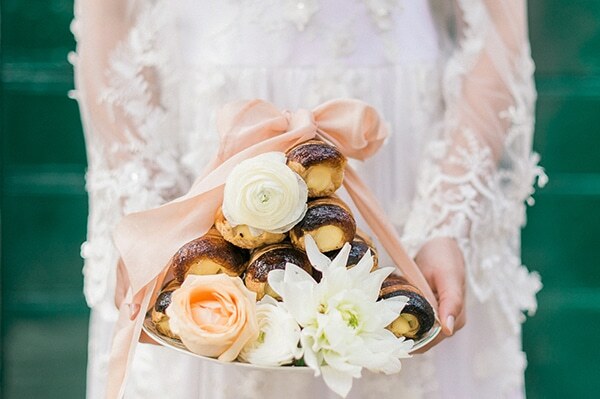 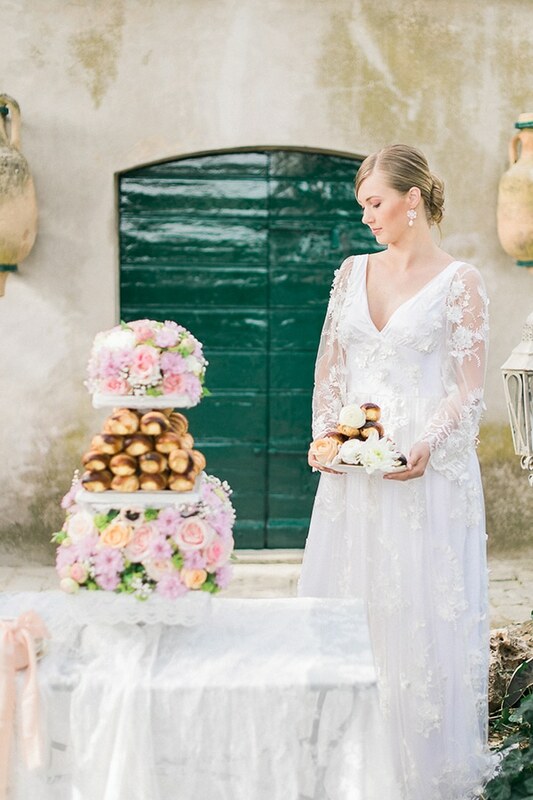 The «Rosario» is such an important element of the religious wedding, and I just loved to show that… The «cannoli-tower» and sweet cookies are typical for an Italian start of the day and as a symbol for happiness. 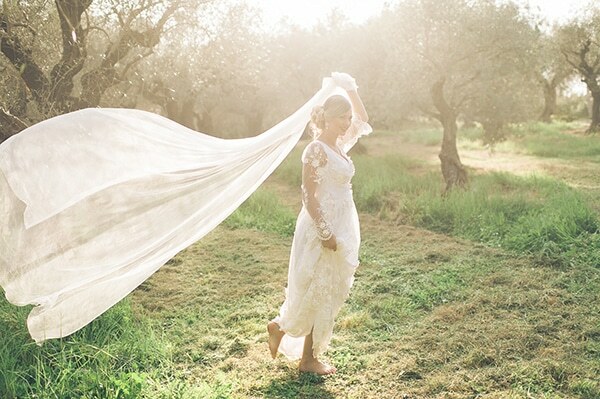 In combination with the veil, I was just falling in love with the idea of making that an important part of the shoot. 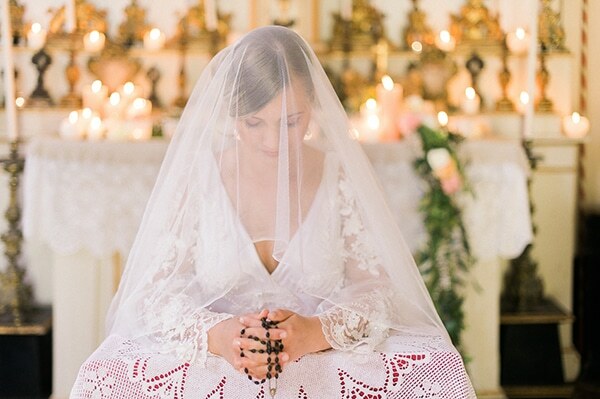 The church, the veil, the praying a bride does before getting married…all part of Italian tradition that we should never forget to show the world. 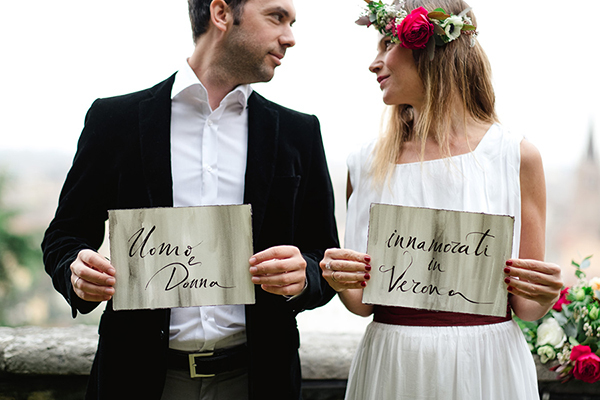 I love Italy and I love the proud Italians that have to keep those very important moments during a wedding”.